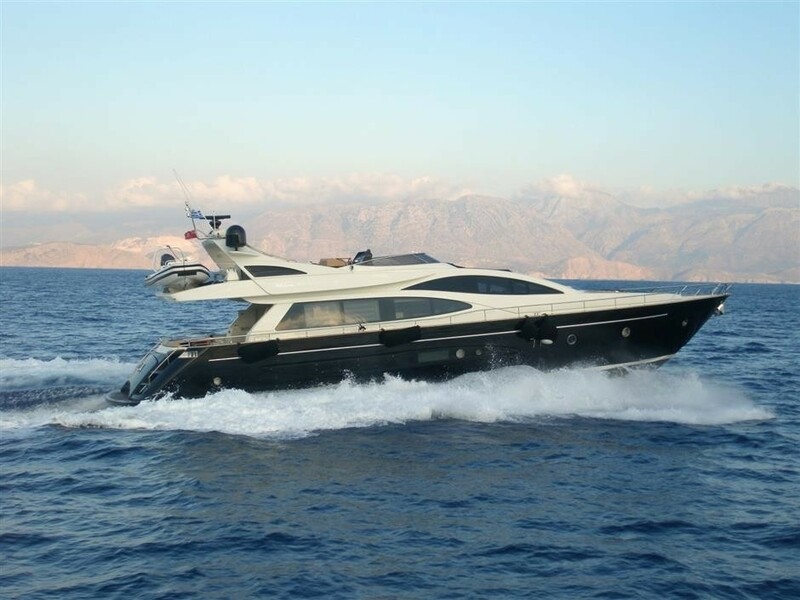 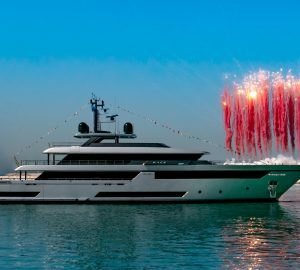 The Italian designed and built Riva DOLCE MIA (ex Nika of London, Double Fun) was launched in 2007 and measures 23m (75.5ft). 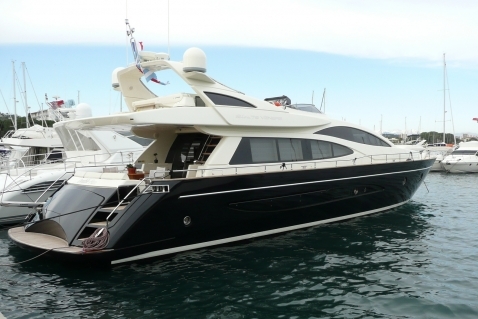 Motor yacht DOLCE MIA is available for up to 6 guests to charter in the West Mediterranean. 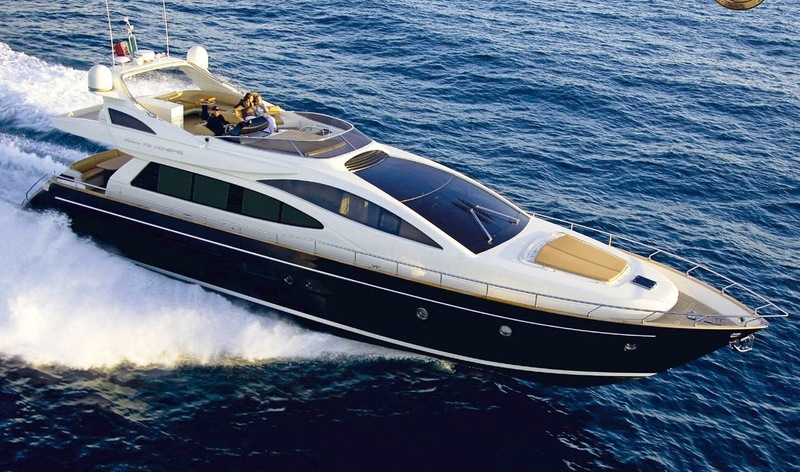 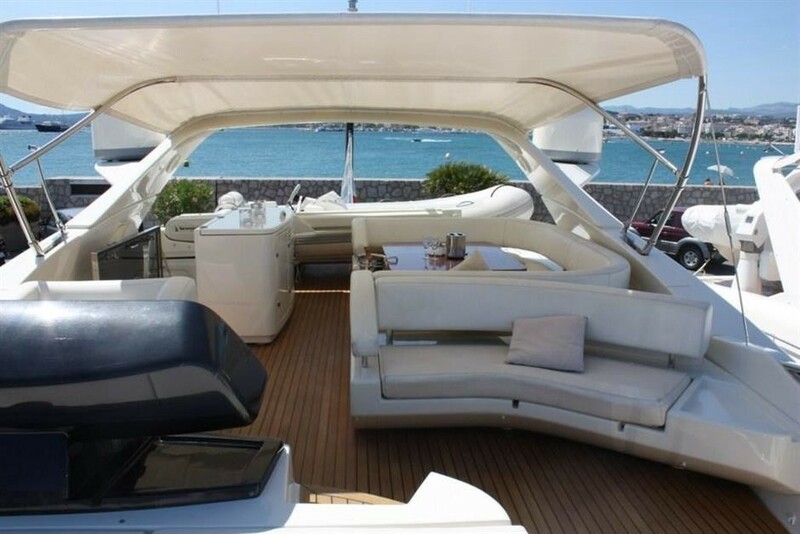 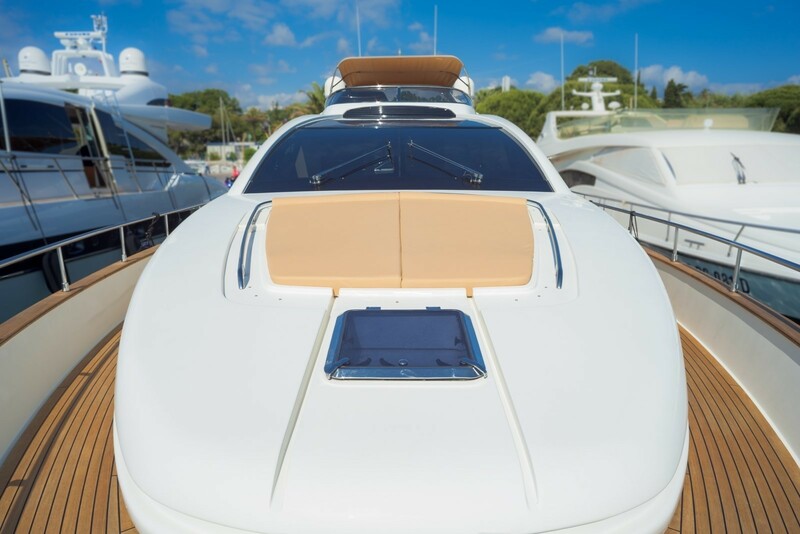 The yacht boasts a sleek dark hull with white superstructure and edgy modern interior decor. 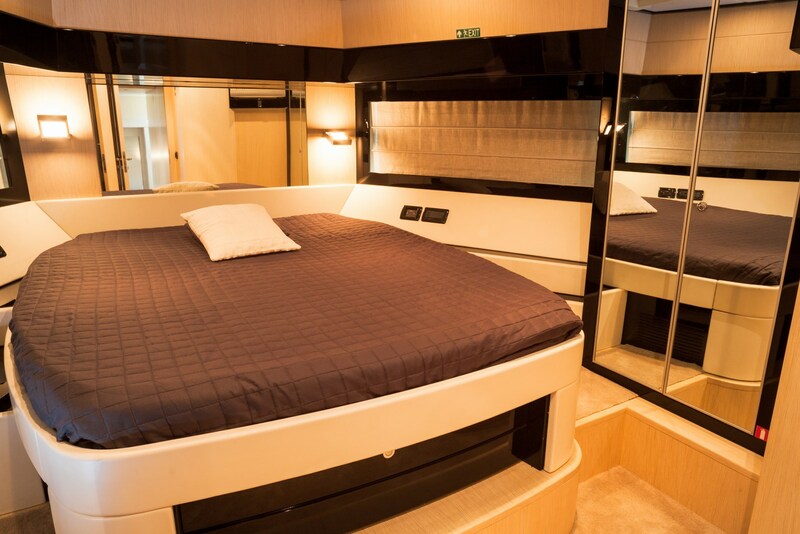 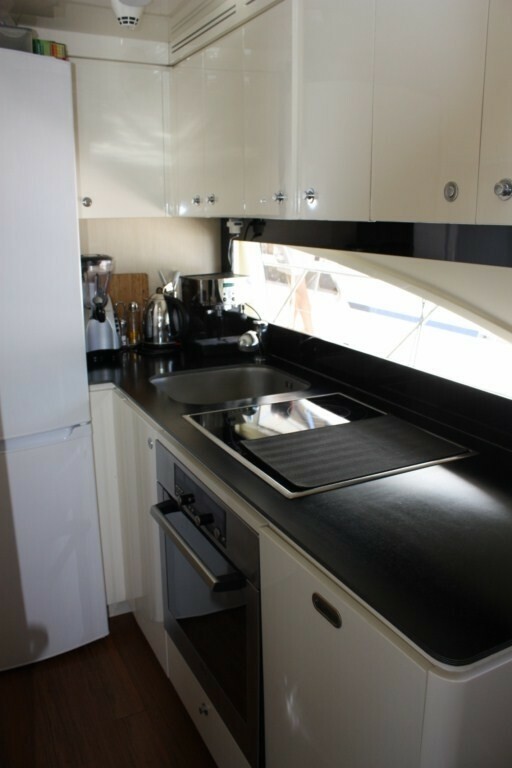 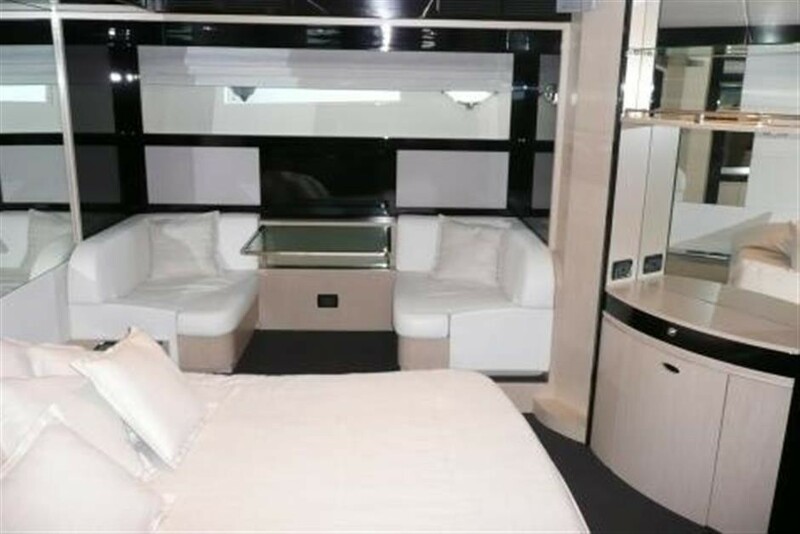 M/Y DOLCE MIA offers spacious indoor living, the salon and dining are an open plan, the décor is an eye catching simplistic black and white, giving a clear tailored look. The lounge space is on the starboard with a sofa, occasional chair and coffee table, to port a large flat screen TV and music system keep everyone entertained. 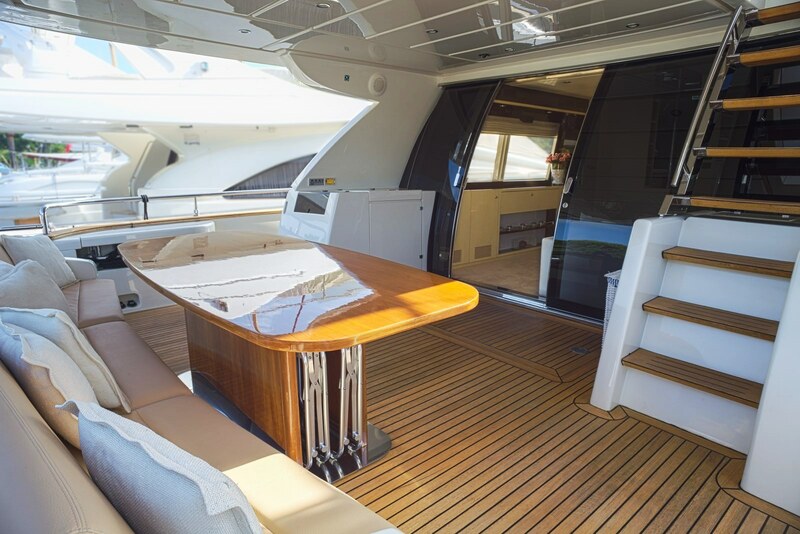 Forward of the lounge, the formal dining table is raised allowing for optimum views. 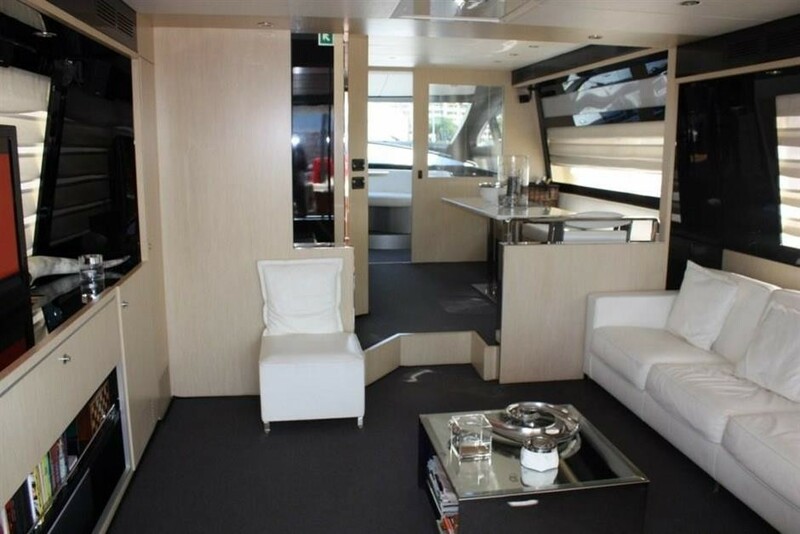 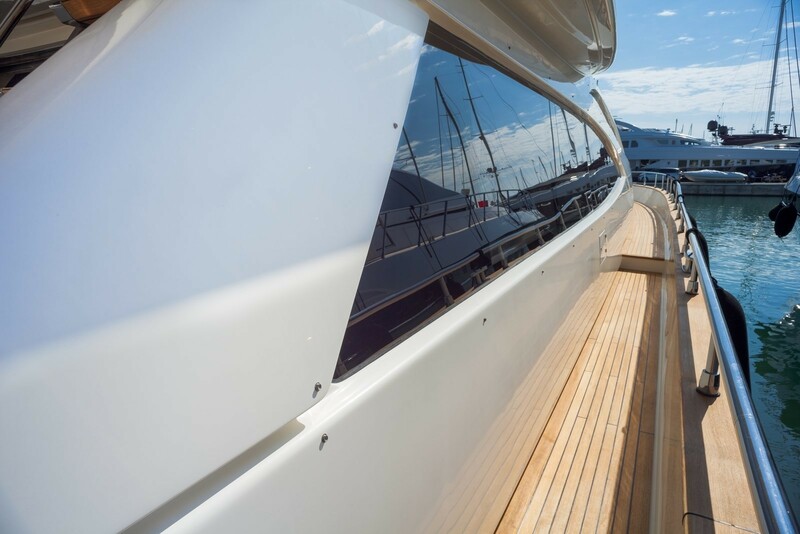 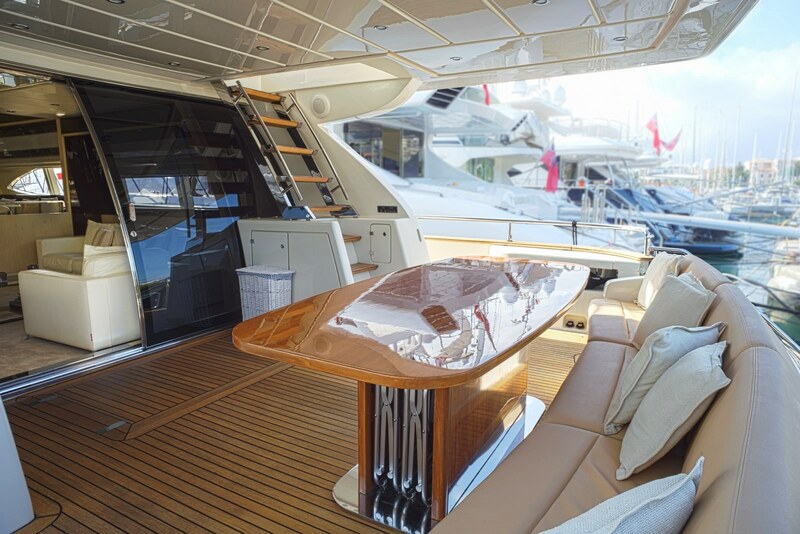 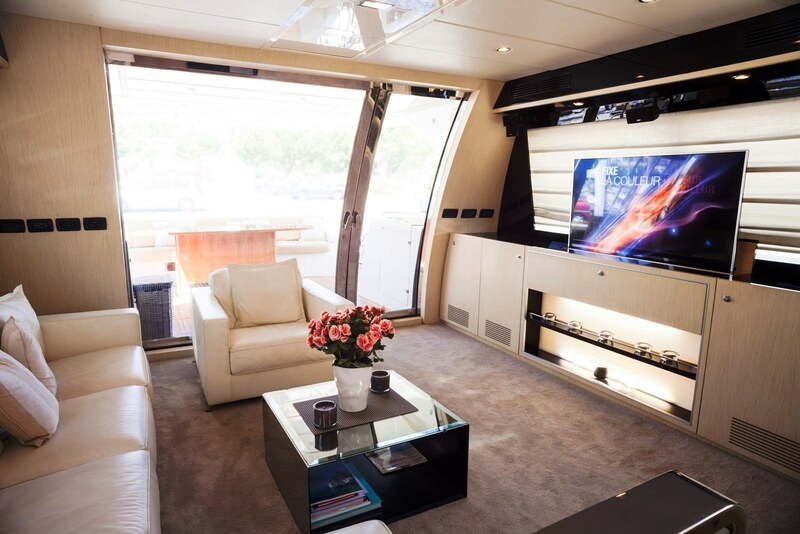 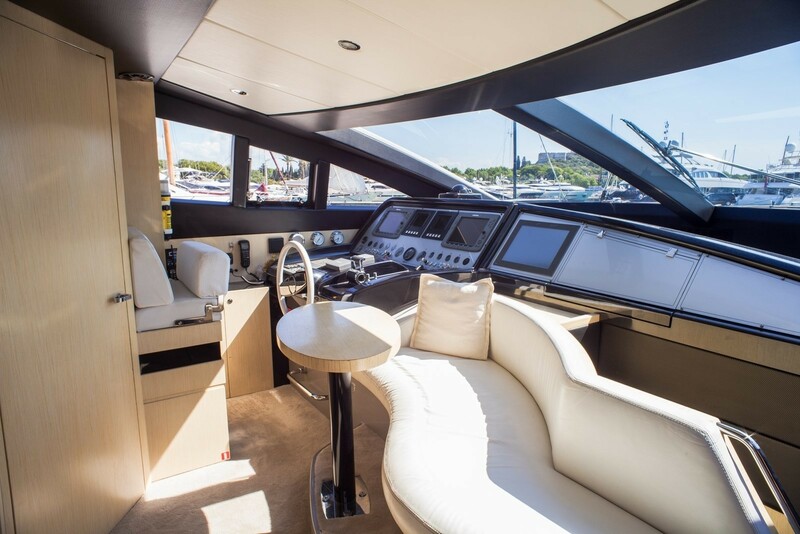 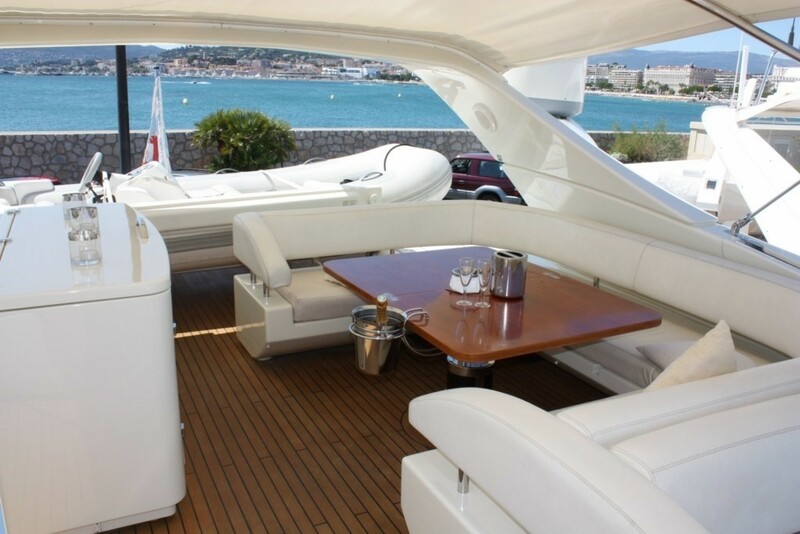 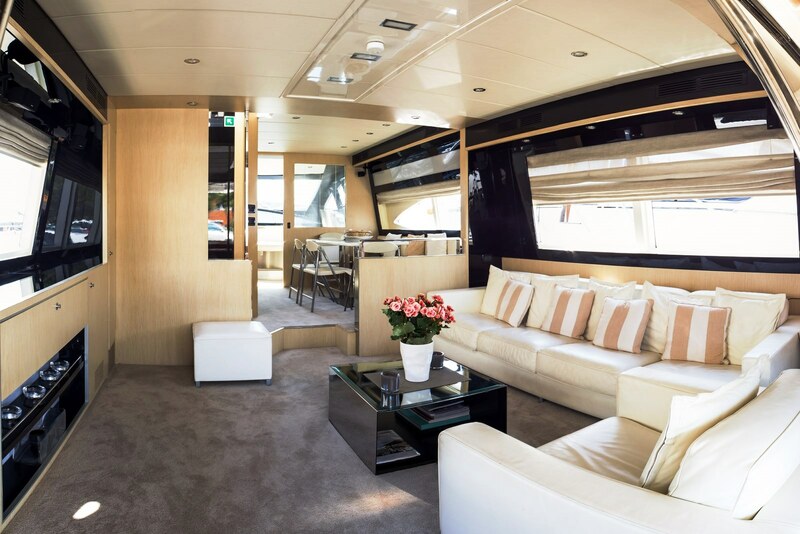 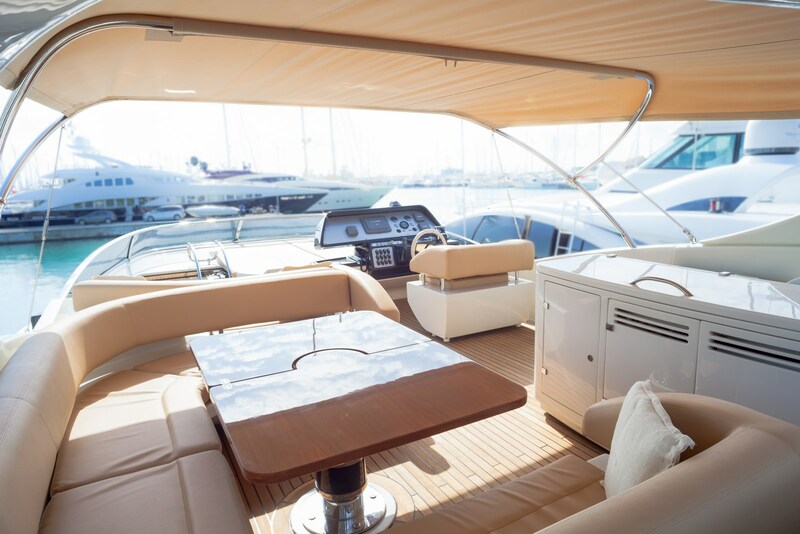 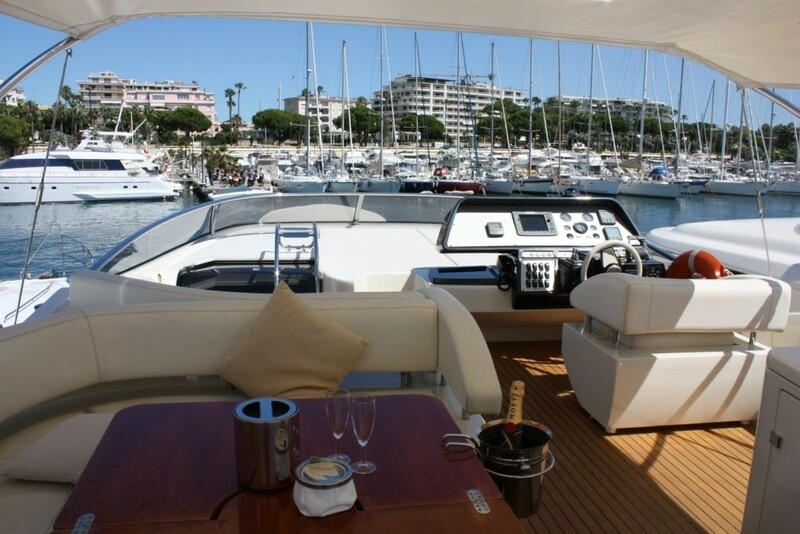 Exterior living on the DOLCE MIA motor yacht is generous. The aft deck is shaded and offers an alfresco dining option and seating, further aft off the transom, is an extended swim platform. 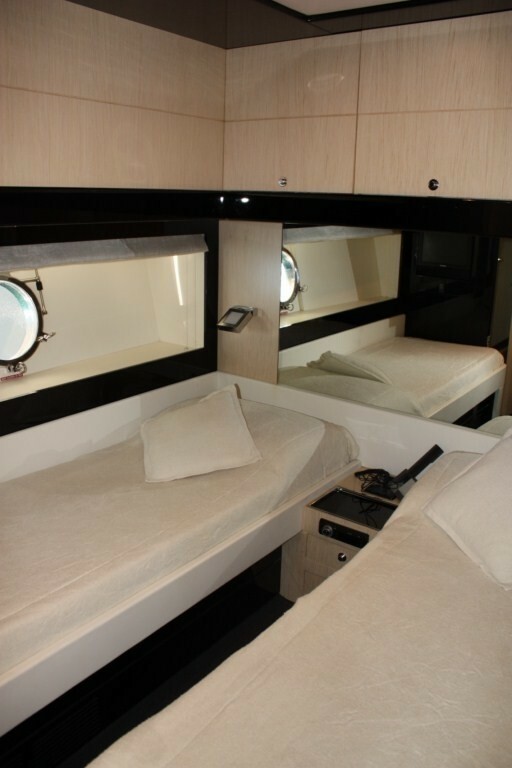 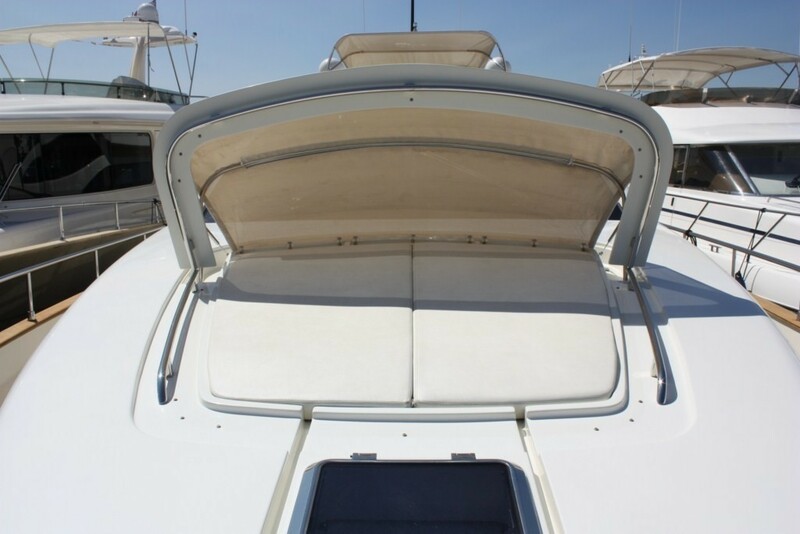 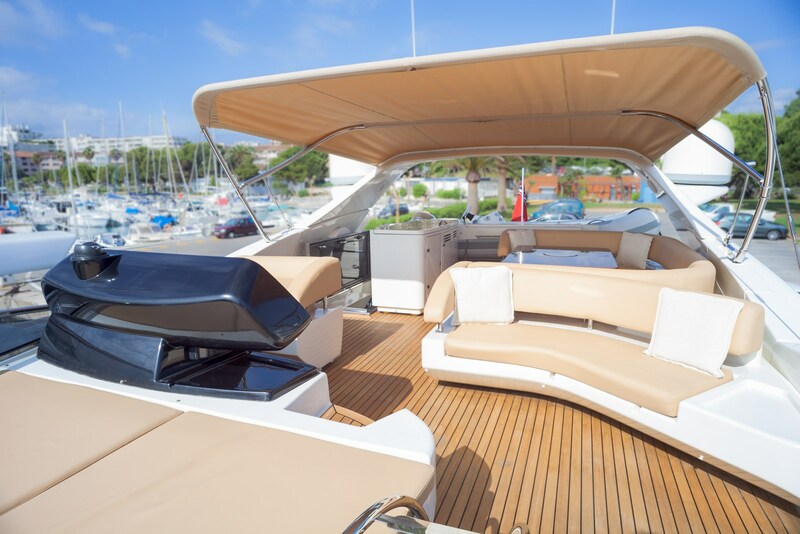 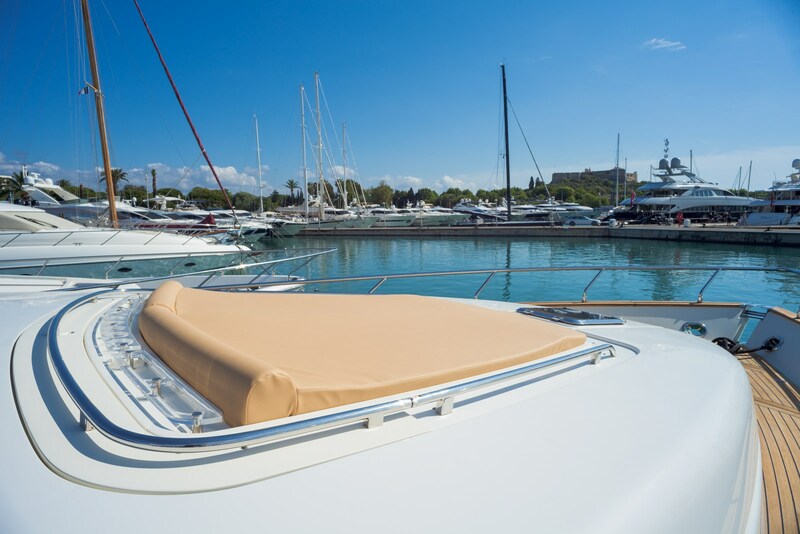 Sun lovers or romantic couples will enjoy the double sunpad on the foredeck, complete with fold away Bimini cover, ideal for shade or privacy. 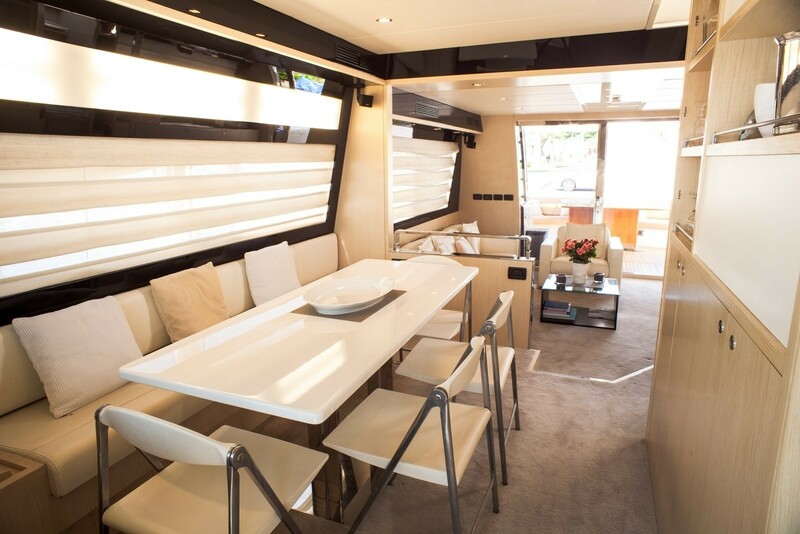 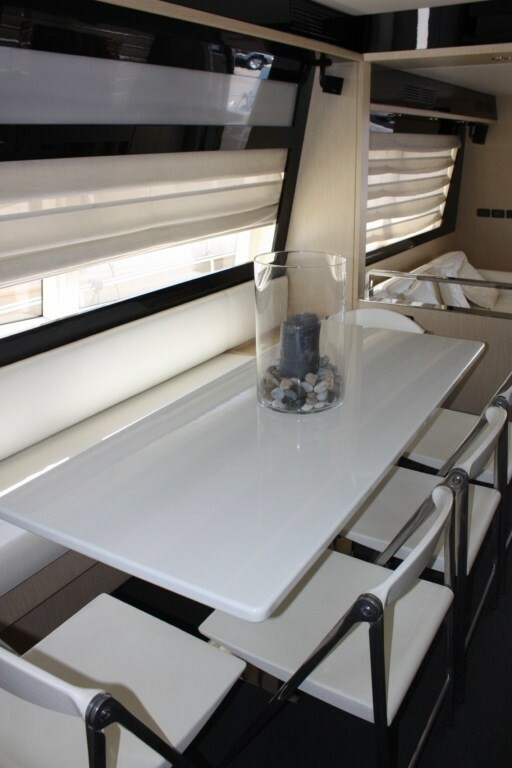 Above the main deck, the flybridge offers a further alfresco dining option perfect for a romantic candle lit dinner, additional seating and collapsible Bimini cover. 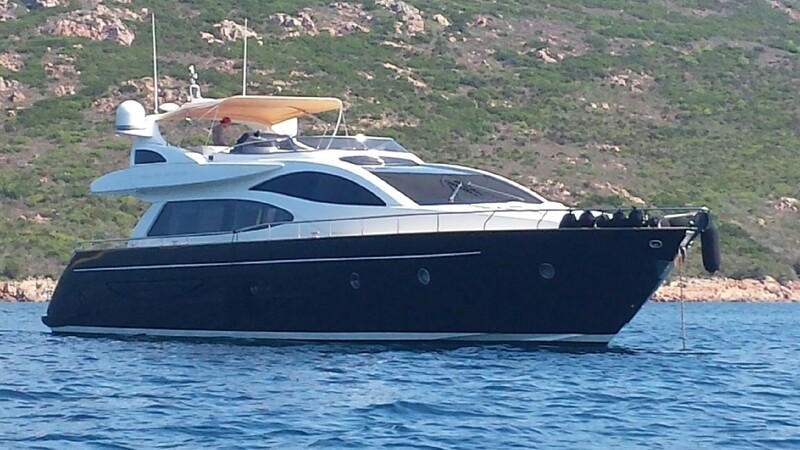 DOLCE MIA is powered by 2 MTU 1524hp engines, she is capable of speeds of 23 knots with top speeds of 29 knots. 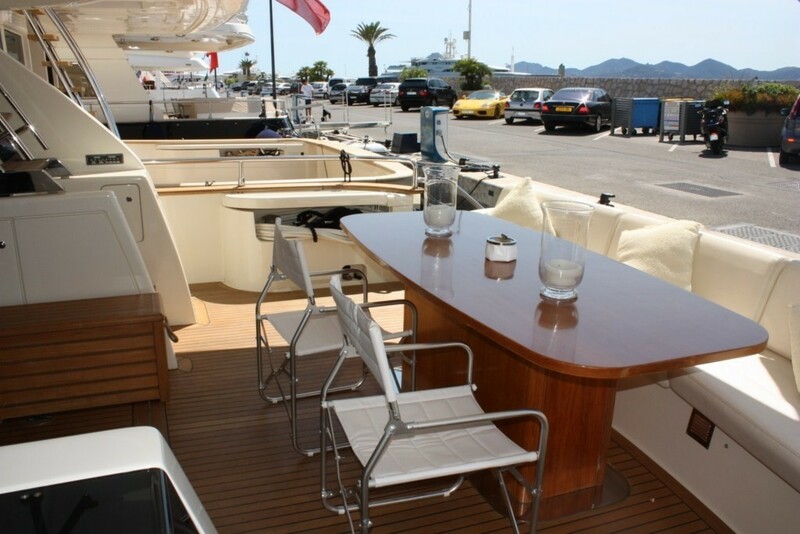 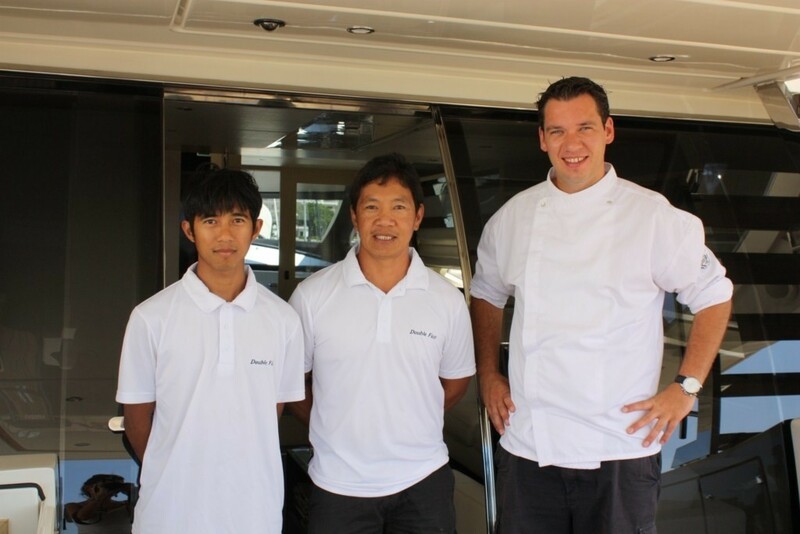 The yacht has a 5.7m (18.8ft) beam and a 2.6m (8.6ft draft). Charter yacht DOLCE MIA features 3 spacious cabins for up to 6 guests charter guests, each cabin offers en-suite facilities and TV entertainment. 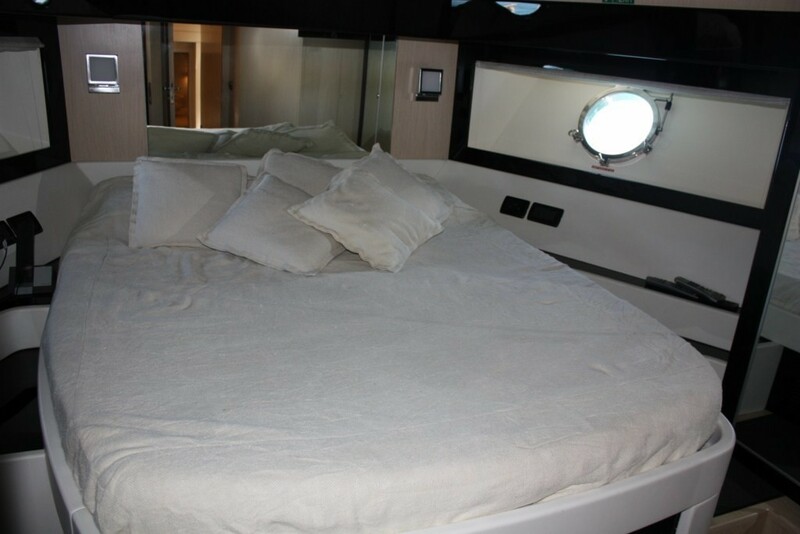 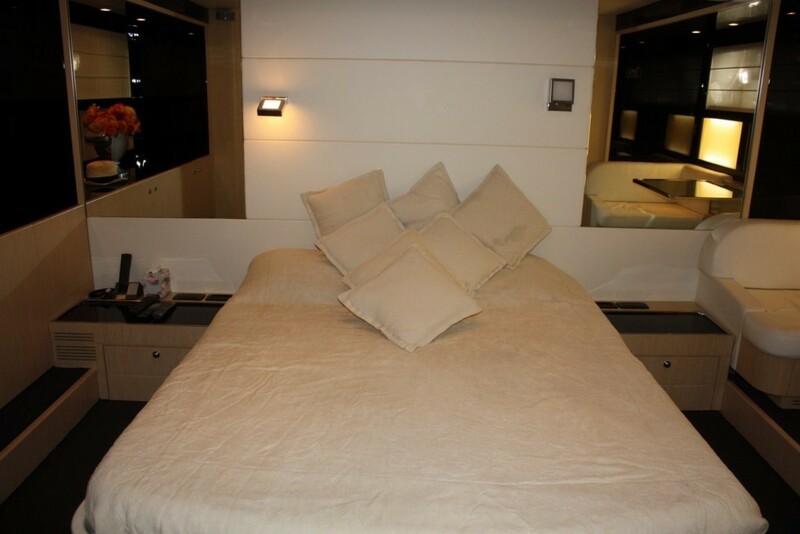 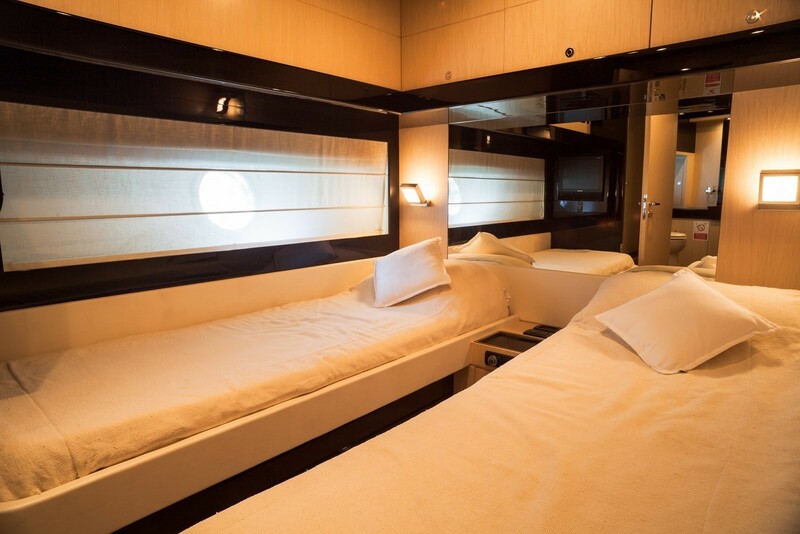 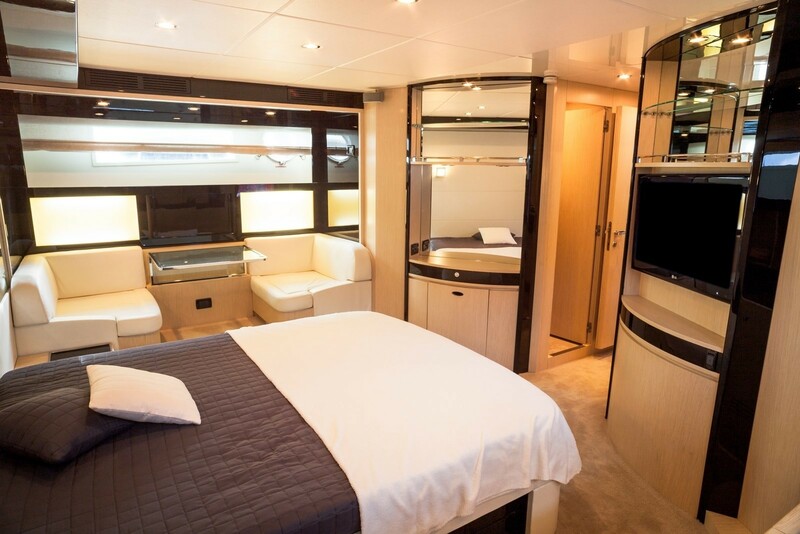 The master suite is amidships and full beam of the yacht with a queen size bed, a VIP cabin is forward and full beam of the yacht. 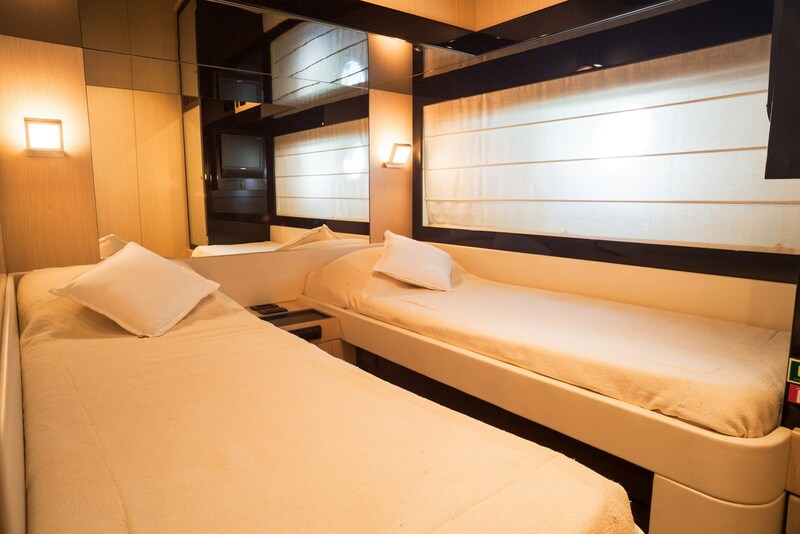 A further guest cabin has 2 side by side single beds, all 3 cabins carry the black and white motif and give a sense of serenity and balance.